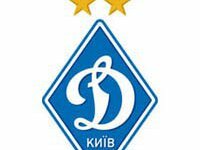 Dynamo Football Club (Kyiv) has signed a contract with the Serbian central defender Aleksandar Pantic, the official website of the Ukrainian club said on Wednesday. 24-year-old football player is a trainee of the football school of Partizan club. He played for the Serbian club Rad and Red Star Belgrade. In 2013 Pantic signed a contract with the Spanish Villarreal, which included a season of 2013 and 2014, where he played nine games. In subsequent seasons, Pantic joined fellow league team Cordoba CF, SD Eibar in a loan. And this season Pantic was again loaned to another club in the Spanish top tier, Deportivo Alaves. He is a player of the youth national team of Serbia.